Over time China became the globally most important manufacturer of chemicals and inherited the pollution problems with production and use of chemicals. The Yangtze River Delta is very much a central area for the chemical production and for manufacturing of a variety of chemical products, materials and goods. A science based cooperation between researchers from Tongji University, Stockholm University and the Swedish Museum of Natural History started to develop in the first decade of the present century. The cooperation was aimed to improve the understanding of chemical pollutants and their influence on wildlife and humans in the Yangtze River Delta area, to generate novel data and establish advanced chemical monitoring programs. 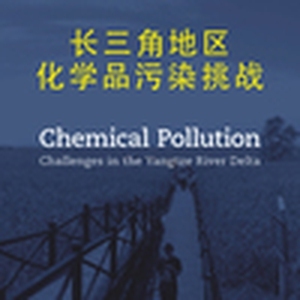 "Chemical Pollution - Challenges in the Yangtze River Delta" is the first scientific report of the Chemstrres project, "Swedish-Chinese chemical pollution stress and risks research program in the Yangtze River Delta region". The project has been funded by the Swedish Research Council. This book covers the essentials of the natural, social, economic, and chemical environments of the Yangtze River Delta, as well as an up-to-date, introduction of the research activities and highlights within Chemstrres. The book is aimed to attract readers from all sectors of society; vivid graphics and diagrams can be found throughout the text. Both Chemstrres project and this book are expected to bring scientists and decision makers closer together, to enable science based management for improved human health and environmental prosperity.